Ok — Truth: This is not a real zombie. And it wasn’t digging in my garden. This is a pic of me a year ago when, in the midst of planting my spring pallet, inspired analogies sprouted in my brain and quickly took root. By the time I washed the ‘zombie’ off me (seriously, my hands could have starred in The Walking Dead) I’d lost my vim and vigor and the keyboard went untouched. Those ideas, however, continued to grow and blossom. So here it is, mid-May, one year later and it’s time to finally share some of those insights! 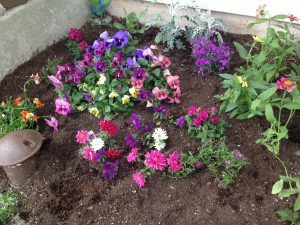 So there I was, surrounded by flats of zinnias, petunias, pansies and snapdragons. My rusty, trusty trowel, cracked, leaky watering can and nourishing bloom booster were readied by my side. 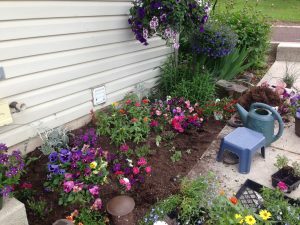 I happily dug in, fervently turning over the wintered soil to give it oxygen and new life. As I dug down I hit resistance. I plunged my bare and curious hands into the dirt and felt for what was blocking me. Lo and behold, I came up with a root. But not just any root. I tugged and pulled and pulled and tugged but it decidedly remained secure and entrenched. I was determined though, found leverage and pulled with all my might. It started to give way, began to unravel and to my amazement, kept going and going- almost the length of the entire bed! Over the months- or years- it had spread itself out, branched off and become a tangled mass of complex arteries plunging deeper and deeper below. I pulled and tugged, sweated and swore and finally won out over the stubborn underground system. I raised my arms in victory then turned my attention to the hole I’d begun. Not moments later I hit more resistance. And then more. And the same scene played out over and over again until I had a massive pile of roots that had been undermining the rich soil, sucking up the minerals and goodness that were needed to nourish the blossoms I would plant above. I was amazed at the vast, intricate network that had grown underground, out of sight and beyond detection. 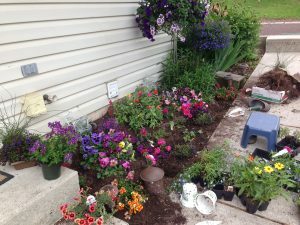 It was crucial for me to uproot those masses, dismantle and remove them before planting my multi-colored beauties. If I’d skipped this critical step my flowers would never have been able to take root themselves. There had been no room for them and they would have withered and died because of the unseen jungle below. While excavating the complicated root systems it wasn’t lost on me the analogy of our subconscious blocks and how they subvert our cherished dreams and desires; how they make us struggle when we try to go against them. Just like the elaborate undergrowth that required removal so are our covert (and not-so-covert) thoughts feelings and emotions that are not congruent with what we’re asking for. And sometimes it gets messy. 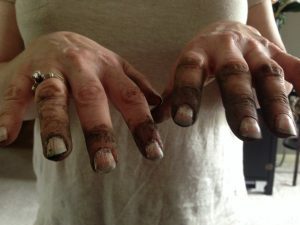 Sometimes your hands get dirty and you have to dig through some unpleasant ground- maybe even break a nail or two. But when you are determined and persist in eradicating those conflicting internal constructs, you can then confidently plant the seeds and sprouts of your dreams and watch them blossom with natural ease. 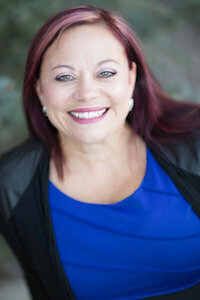 I am ever so grateful to have the tools and techniques of EFT, Access Consciousness Matrix Reimprinting and others which empower me to unearth my hidden roots and give me the renewed, enriched soil of my mind where my own dreams have flourished. Have you also done some digging? Do you need to do more? 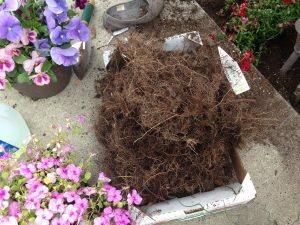 If your dreams are not taking root, it’s likely you have an internal, subconscious root system sabotaging your efforts. But everything in your garden of dreams is possible once the hidden roots of conflict are pulled and the soil of your mind is enriched with thoughts, feelings and emotions that support you.